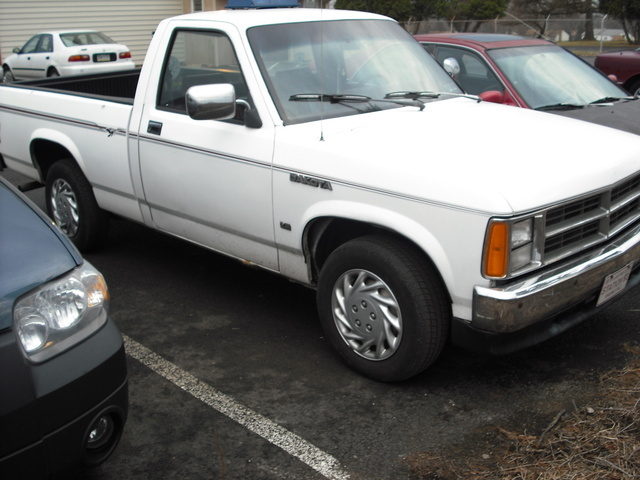 Have you driven a 1990 Dodge Dakota? Displaying all 9 1990 Dodge Dakota reviews. Dodges Rock — performance was good with its V-6 automatic, build was ok the overdrive went out on it though, apperance excelent camo paint job black interior, cost very nice being 4-wheel drive, fun factor man that thing was fun fun fun never boring. Another Poor Product By Dodge — More electrical problem then a chinese built computer. 4x4 never worked went out after two or three uses. I had the 5 speed manual and it didnt not like to down shift. The breaking was spotty at best. stearing was loose not good loose like a gm product but a sloopy loose. Overall just not pleased with this truck. The Neighbors Truck — I got this truck from the neighbor for 800 and thought that was alot at the time. The CB was the first thing to go in the truck except for gas. The pushbar I built for it and costed me 15 dollers, cant beat that Then i found a good used toolbox. After some paint in looked better and when i got the rims and new tires it looked great. Interior is basically factory expcept a 60/40 split seat i found out of a 94 and a dash cover. It has been having alot of little stuff go wrong with it but what can u expect out of a truck that has roughly 163000 miles. 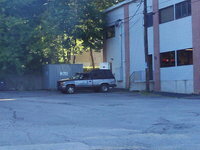 I Love My Dodge It Was A Great Truck If I Could Find The Relays It Needs It Will Run Again. — truck was great, open haeders 236 horses at wheels, 130 mph, off road mudding was good, load mean soundingh truck, everyone new when i was comin. Dodge. Say No More. — I bought this truck as a teenager. I only bought it because it had a rollbar with auxilary lights on it. I loved it for that and thats it. What blows my mind is why couldn't build anything in that generation with quality engine parts. The valve guide seals failed miserably and consumed ridiculous amounts of oil while failing e-test after e-test. Pros: Easy to take apart. Cons: Oil burning piece of typical Dodge garbage. Fun Little Truck. 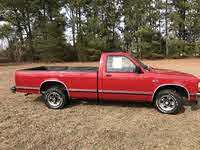 — 1990 Dodge Dakota Sport 3.9 L V6, Automatic, 4 wheel drive. I bought this truck new in Pittsburgh, May 1990. The little truck drove very well in the snow(s) of Pittsburgh and I once (no ‘S**T) had 2000lb of dry ice in the bed of that truck. Ok, it only travelled little more than 100 yards with it, but it did assist in keeping product cold when our freezers and refrigerators were without power. One ton in the back of a Dodge Dakota! The truck performed well for about 7 years and then things started to go: transmission, water pump, starter, and radiator. I keep it until November 2000 with a total of 125,000 miles. I looked it up on Car Fax recently and it STILL has a valid Ohio registration 25 years later. I would recommend this truck to anyone. Pros: Easy to drive, park, and drive in any weather. All around fun truck. Cons: Two bucket seats with very little interior storage space. Slow as a snail. 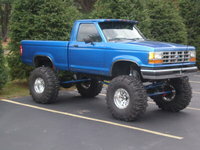 Looks/Style Ranked 1988 Dodge Dakota Sport 4WD better. "The sport package gives it a roll bar in the back with bosh off road lights plus the fog lights give it some mud tires and it is good for the mud with the classic box style look"
Front Seats Ranked 1988 Dodge Dakota Sport 4WD better. "The seats in this truck are comfortable and i always have preferred bench over bucket seats "